Appearance colorless and transparent liquid, smell like gas oil. 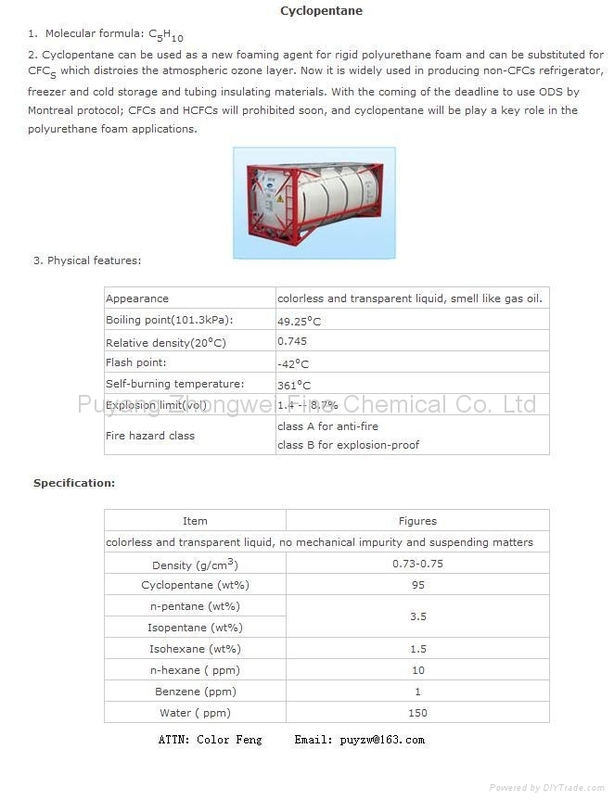 We specialize in the manufacture of new-type environmentally friendly hydrocarbon refrigerants. Our products include R600a, R290, R433b, R436a, R134a, R22, Cyclopentane, etc. Please feel free to contact with us by email address: puyzw@163.com We are looking for an opportunity to cooperate with you!